Thousands of organizations use Wild Apricot's software to manage their membership websites (we're also the most popular provider). That’s because Wild Apricot is one of the few membership website creators who offer a completely free account to small organizations for as long as they need it. 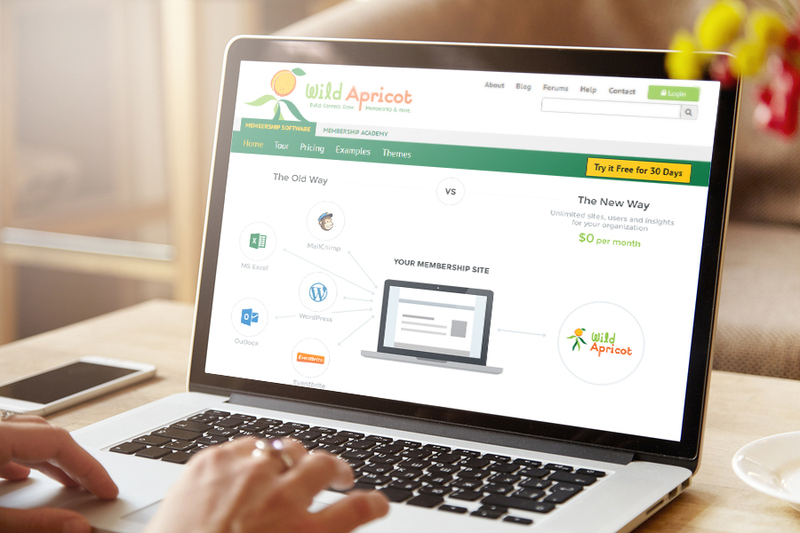 Wild Apricot's free accounts are designed for small organizations of less than 50 members, or organizations that are just starting out. Read on or watch the video below to find out how to create a membership website free with Wild Apricot, what you can do with it, and how to get help to grow your organization. To get started, simply click the free trial button located at the top of every page on the Wild Apricot website, click here, or click the button below. Once you’ve done this, you’ll be taken to a registration page where you can enter your account details. Once you click submit, you’ll activate a free 30-day trial of the paid version of Wild Apricot’s software. This means that you will have all the access to all the functionality that our paid clients receive for 30 days. Your free membership website isn’t fully activated yet. At the end of the 30 days, you’ll receive warning that your trial account will expire unless you upgrade. To activate your free account, simple let the trial expire. Wild Apricot will automatically turn your trial account into a limited free account that lasts as long as you need it to. All the information you entered during your trial period will be saved and accessible in your free account. If you create a membership website with Wild Apricot, your website will be mobile response, so it will look professional on any device (tablet, phone, desktop). View additional details of all Wild Apricot's plans here. If you need any help when you create your free membership website with Wild Apricot, we provide unlimited, free support. You can browse our online help wiki, email us, or get in touch with a live tech support agent. In just an afternoon you can have your whole membership website up and running and your member database imported so you can focus on growing your organization right away. Click here to open your free Wild Apricot account now.